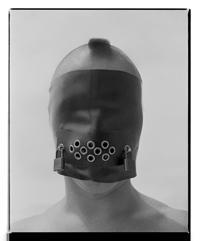 Many thankx to SFMOMA for allowing me to publish the photographs in the posting. Please click on the photographs for a larger version of the image. In 2003 Hatakeyama was invited to the Camargue, near Fos-sur-Mer, France, to photograph the landscape surrounding a steel factory located on the eastern edge of the Rhône delta. He worked from two perspectives, shooting on the factory grounds as well as from the surrounding landscape, much of which is conserved as a nature park. His photographs contrast the idyllic serenity of the flat plains where the Rhône river meets the Mediterranean Sea with the dramatic clouds of steam – formed when the coke used in steel making is doused in cool water – that often rise above this terrain. 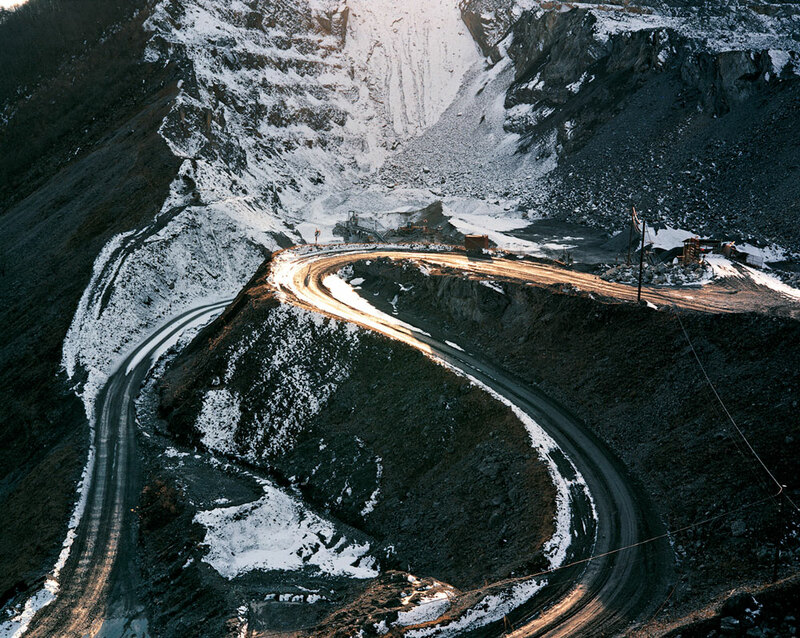 “From July 28 through November 4, 2012, the San Francisco Museum of Modern Art (SFMOMA) will present the work of one of Japan’s most important contemporary photographers in the exhibition Naoya Hatakeyama: Natural Stories. This will be the artist’s first solo exhibition in a U.S. museum and the first presentation of his work on the West Coast. 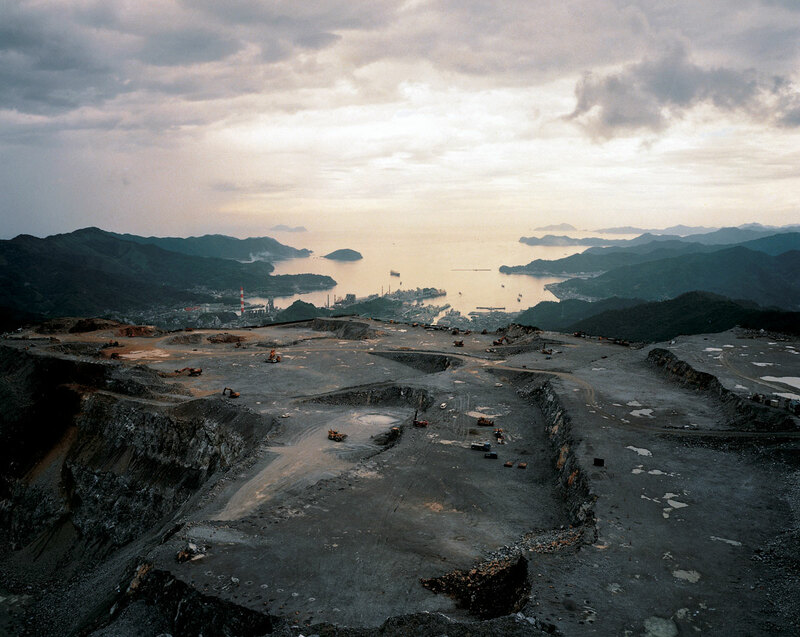 Hatakeyama has long been interested in the relationship between human industry and the natural environment. His early series of photographs of limestone quarries, Lime Hills (1986-91), references the Romantic painterly tradition of the sublime, but links it to the relentless pursuit of raw materials for modern development. 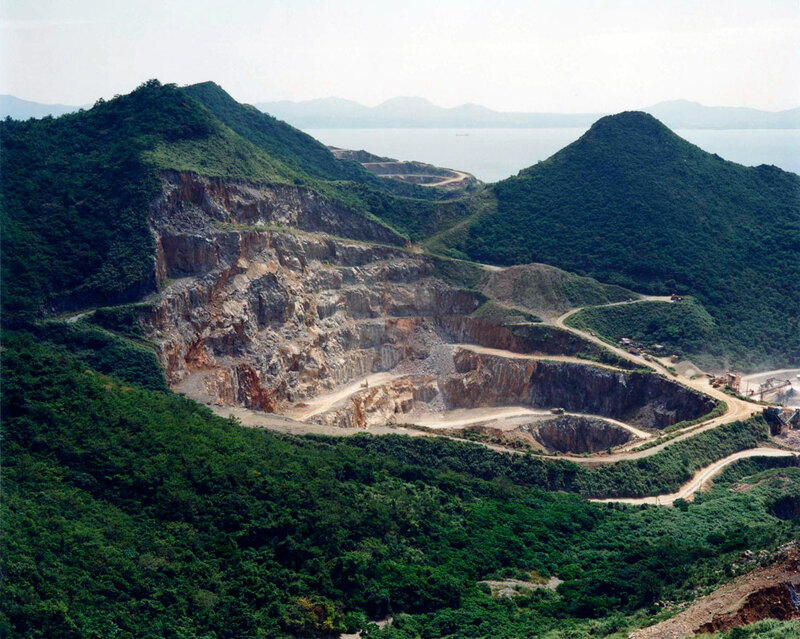 After observing that “the quarries and the cities are like negative and positive images of a single photograph,” Hatakeyama began to investigate urban centers built from limestone and concrete. In Underground (1999), he explores the pitch-black depths of Tokyo’s underbelly from the tunnels of the Shibuya River, revealing the ecosystems of the city’s sewer network that often go unseen. 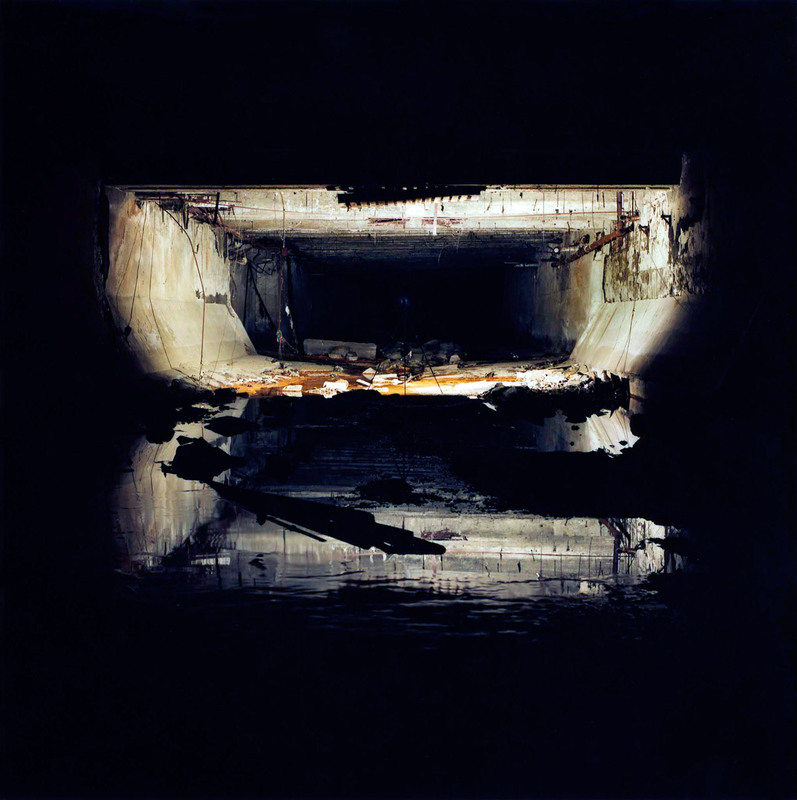 Nearly a decade later he returned to the subject, photographing the remnants of decaying limestone quarries underneath Paris in Ciel Tombé (2007). 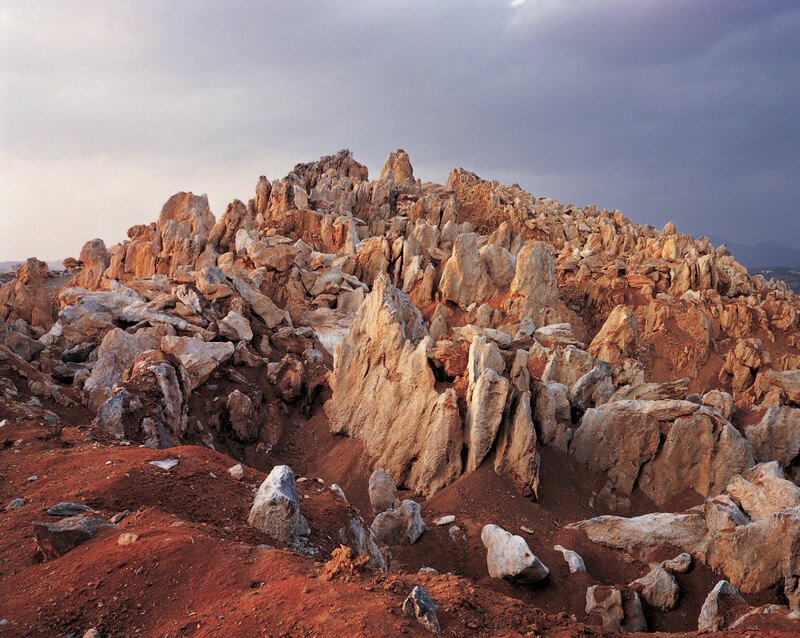 Hatakeyama has applied his measured and unsentimental method of observation to landscapes in transition around the world. 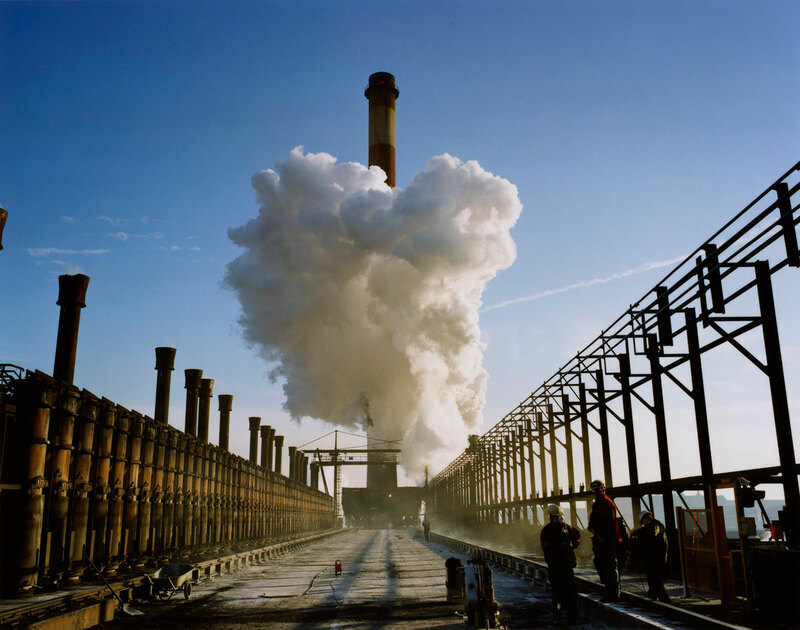 In the series Atmos (2003), his representations of tranquil French landscapes include steam clouds generated by steelworks. 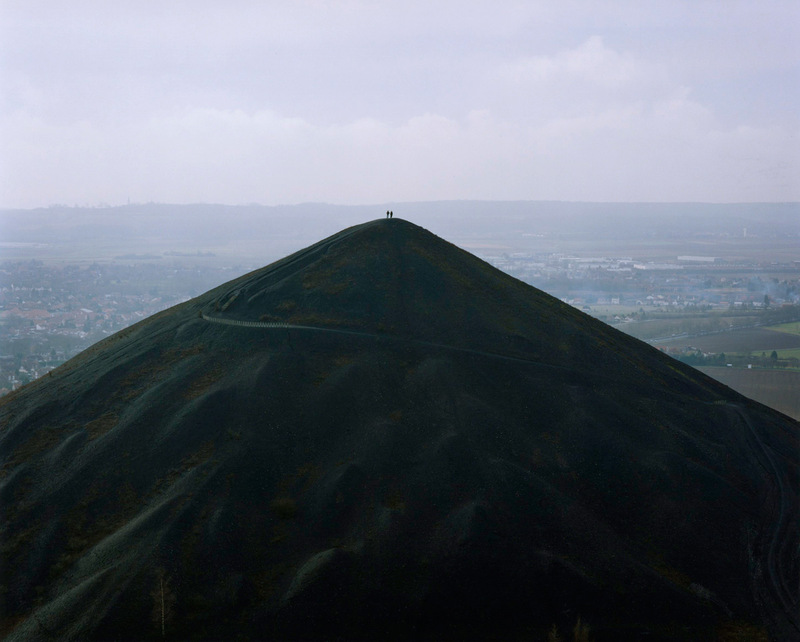 Also made in France, the series Terrils (2009-10) pictures the massive conical hills created by coal mining, documenting landscapes transformed by the human exploitation of natural resources. Considering a different type of human impact on the natural world, Hatakeyama observes the conquest of the Swiss Alps by tourism in Another Mountain (2005), invoking the sublime both through choice of subject matter and through the contrast in scale between man and nature. 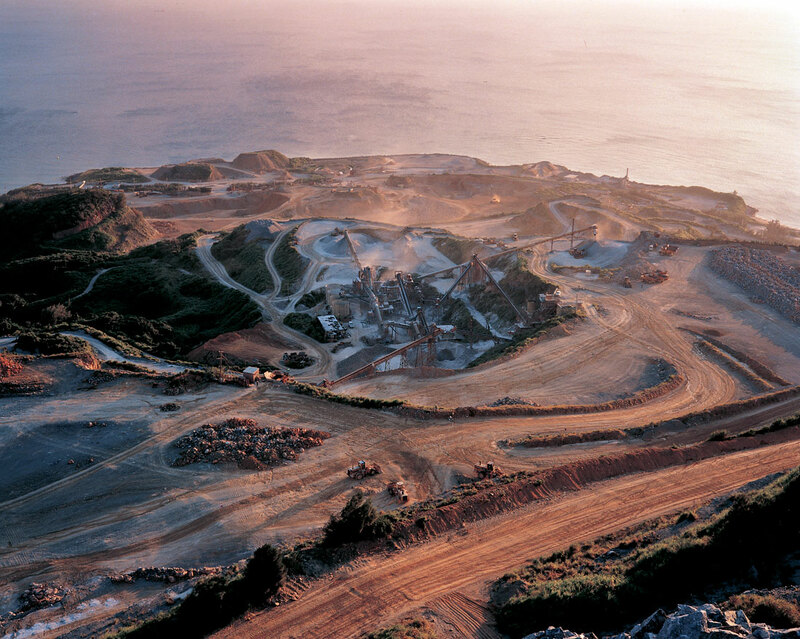 While photographing Japanese quarries and factories for Lime Hills, Hatakeyamabecame intrigued by the regular explosions designed to free limestone from the cliffs. He was interested in the violence and force of the blasts as well as in the engineers’ deep understanding of the “nature” of the rock. Working with these experts, he was able to calculate exactly how close he could place his remotecontrolled, motorized camera to the blast to capture the explosion in still frames. 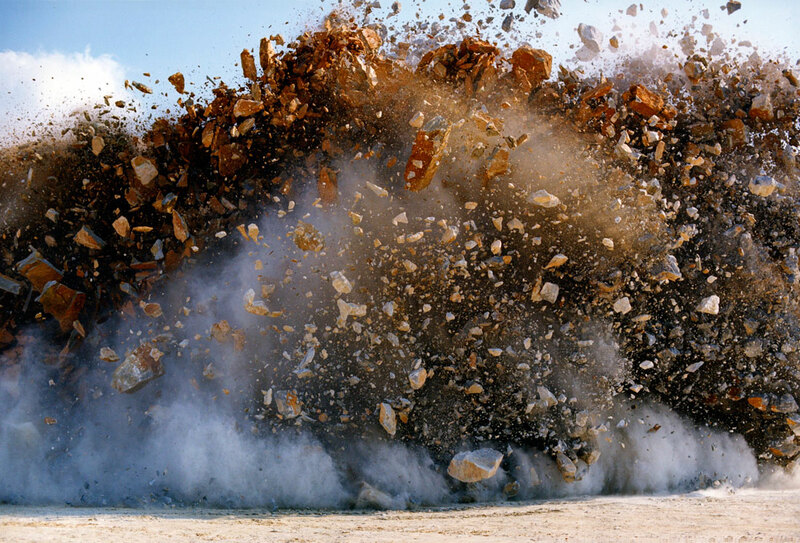 The striking large-scale photographs this method produced dramatize the tension between the slow geologic formation of the rocks and the split-second detonation that destroys them. 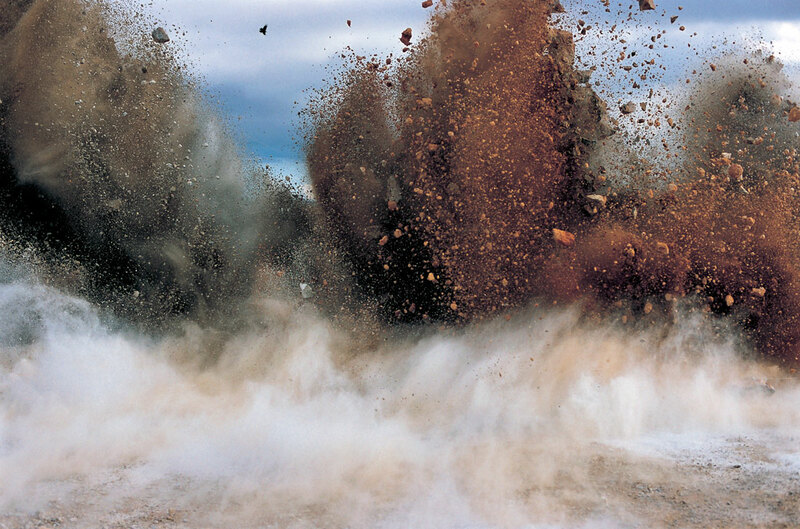 Distilling his study to a series of frozen moments of intense scrutiny, Hatakeyama emphasizes the volatile character of the blast, offering a perspective that cannot be seen by the naked eye. 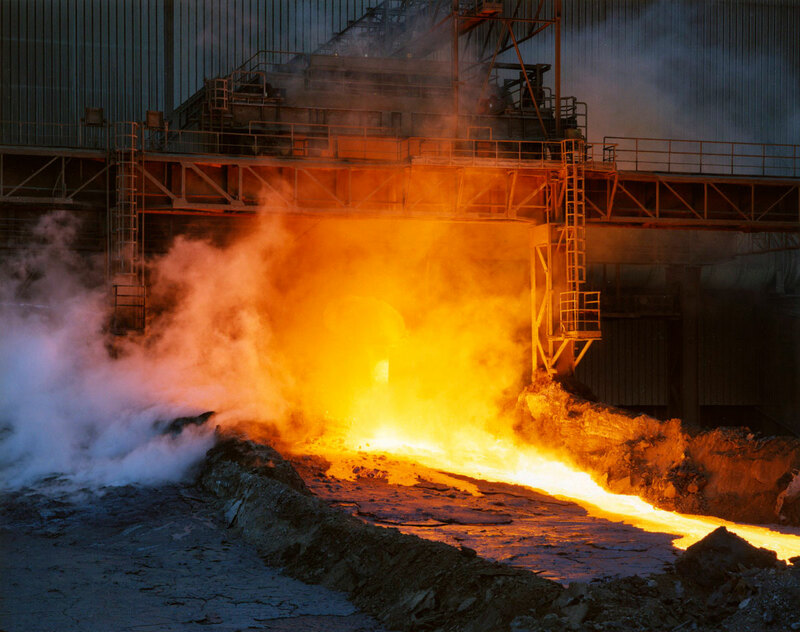 In the video projection Twenty-Four Blasts, presented in the next room, these explosions are set to motion, serving as documentation of the mining process while also reflecting an understanding of the blast as a sculptural event. In Zeche Westfalen I/II, Ahlen, a series taken in Germany, Hatakeyama used a remote-controlled camera shutter to photograph the destruction of the Zeche Westfalen coal plant at the time of detonation. An industrial center since the mid-nineteenth century, the area is experiencing new development as mines are destroyed to make way for commercial and residential growth. These pictures serve as a record of one such transition, trapping the building as it hovers in midair in the moments just before its destruction. Although photography is often used to capture an image of something before it is gone, these pictures reveal Hatakeyama’s interest in documenting destruction analytically and in real time, as a celebration of the future rather than an elegy to the past. After photographing the limestone quarries around Japan, Hatakeyama realized that the urban fabric of Tokyo resembles a mirror image of the excavated earth when viewed from above. As he later wrote, “the quarries and the cities are like negative and positive images of a single photograph.” This revelation led him to photograph the city from great heights and, later, to document the tunnels snaking beneath it. 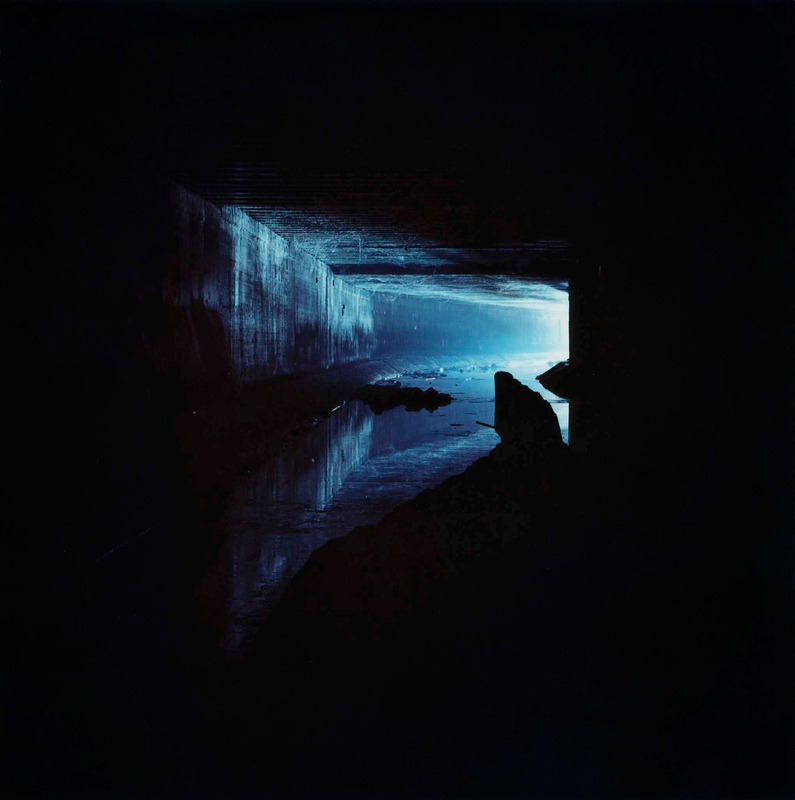 The Shibuya River, diverted beneath Tokyo like a sewer, echoes the chambers Hatakeyama observed within the quarries, yet it is shrouded in darkness and mystery. 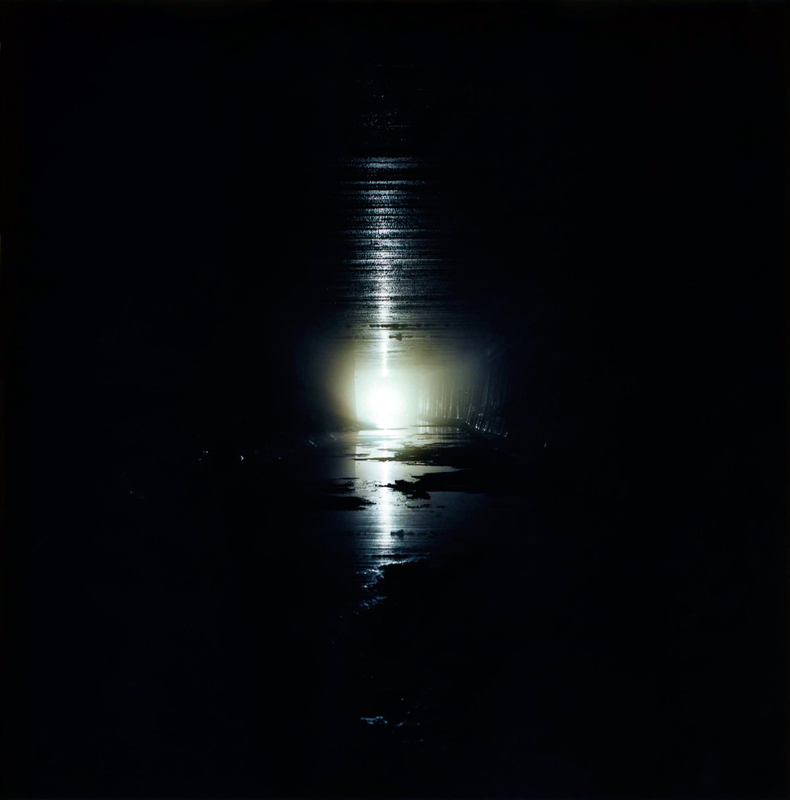 His abstract and often theatrically lit pictures of the underground river, illuminated by a strobe at the center of each composition, investigate the process of photographing complete darkness. 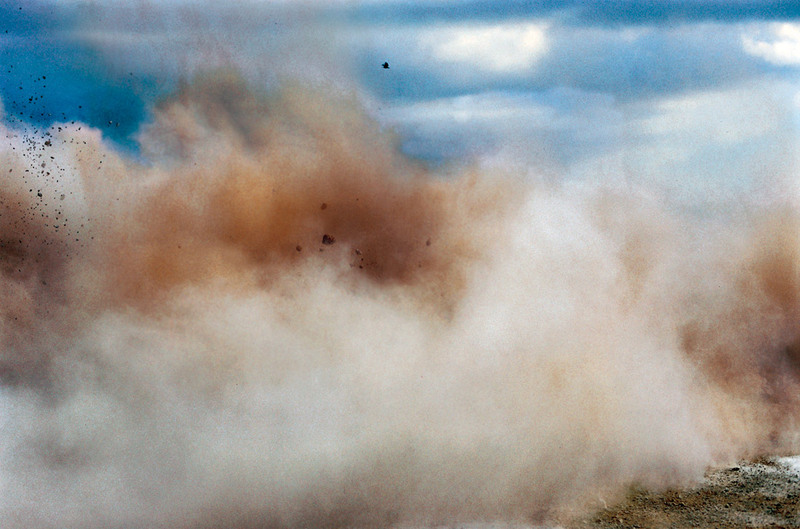 During 2009 and 2010 Hatakeyama was a photographer in residence in the Nord-Pas de Calais, a region in northern France along the Belgian border. A historically contested area often in the path of wars between France and its neighbors, the Nord became a major center for industry in the nineteenth century due to its wealth of coal mines, steel mills, and textile factories. 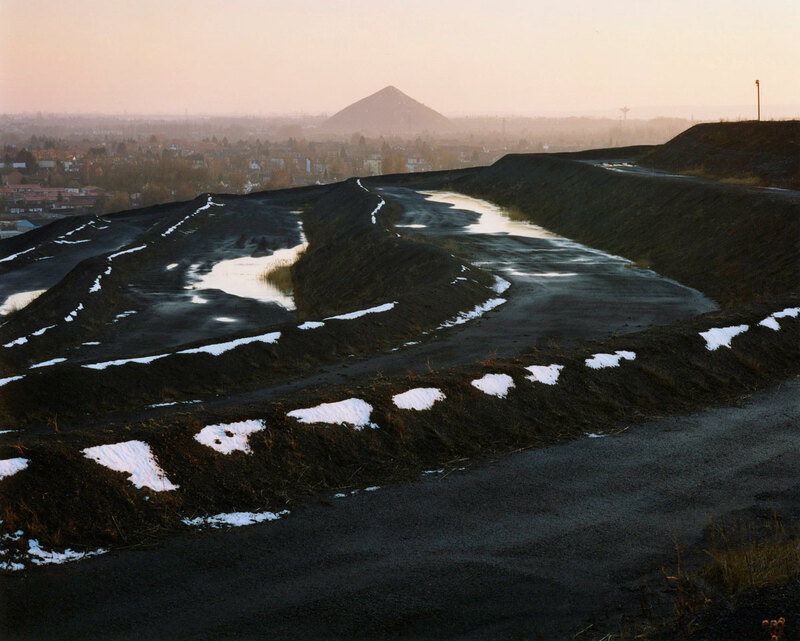 Today the landscape is marked by terrils, slag heaps composed of waste products from the mining process, which in the context of the region’s current economic troubles serve as monumental reminders of a prosperous industrial past.